This all (hopefully) works because GH now allows you to push to other people’s branches, if you own the repo on which they have opened a PR. I would love to write this but I don’t know much about how GH works and I don’t really have the time. Anybody interested? Any reasons this can’t work? The only thing they’d need is to add the bot as a collaborator, then this would totally work. 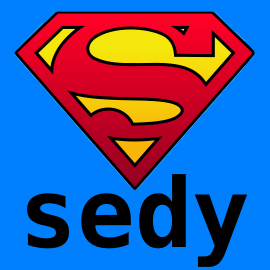 To facilitate typo fixes and simple code reviews, Sedy brings the power of the sed Linux command to Github comments. which is similar and very interesting. Can’t you include in your CI to run rustfmt --diff, and error if there is a diff? This all (hopefully) works because GH now allows you to push to other people’s branches, if you own the repo on which they have opened a PR. This is optional by the submitter, “allow edits from maintainers”, but I think it is enabled by default. You could, but that’s annoying – it forces the person opening the PR to fix it (or me), and so forth. Then I have to wait for them to respond etc. I’d prefer to just make it automatic. Yes. Seems fine, everybody leaves it on in practice. It could also be a step of a bors merge, no? I guess you want the diff to follow the formatting as well. This sounds like it would be a fun project - there is no reason why it shouldn’t work - both the GH APIs and Rustfmt have everything you’d need (although the feature for formatting a selection of text in Rustfmt is a bit flakey, so this would probably find a bunch of bugs). I’m not sure how easy it is to get a set of ranges of modified lines from a PR. At worst you could process the diff which wouldn’t be too bad, I assume there are libs to help with that. (Because Rustfmt can’t format a diff, you’d need to format the selections in the PR’s branch). For a first implementation it seems like it could just run rustfmt over the whole codebase, if you’re using this bot then it’s likely that you’re keeping the entire codebase formatted correctly, so the only parts that might need reformatting are the files modified in the PR. RIght now, rustfmtbot could probably be implemented as a regular Github user that just happens to write a lot of reviews with applicable suggestions (and that gives up when there are too many issues)! Too bad suggestions have to be exactly one line. Yeah, but they’re in beta and receiving feedback. I’d expect them to add support for multi-line suggestions soon, it just makes sense. We’ve had a similar issue with Amethyst. The fact that rustfmt changes / changed its formatting very often made it hard to keep the crate formatted. We thought about a bot, but that would cause a lot of rebasing, which just becomes too much work for larger PRs. Currently, we are using https://concourse-ci.org/ to show separate status reports (one for the build, one for the book tests and one for rustfmt). That way, we can ask contributors to format whenever it makes sense. Note that the status report shown here does not make a merge with bors fail, so it’s just indicative.